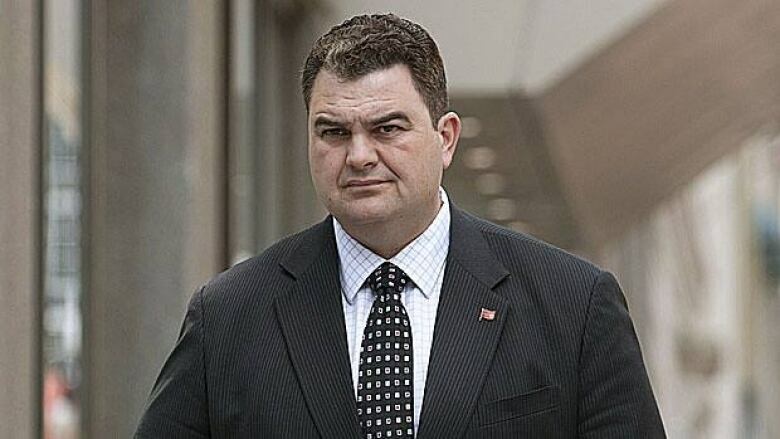 A top staffer for Conservative MP Dean Del Mastro's 2008 election campaign put a "stop payment" on a cheque for election services four days after contacting Elections Canada about spending limits, court documents show. The cheque was the second part of a $21,000 payment from the campaign that Del Mastro says was made in error because the services weren't ordered. The services, proposed by Holinshed Research Group, would have put Del Mastro over his election spending limit. The first cheque from the campaign to Holinshed had already cleared. The documents also show John McNutt, Del Mastro's campaign manager, was interviewed by Elections Canada in connection with the investigation. A member of the Peterborough riding association, Daniel Rosborough, declined to be interviewed. Rosborough told investigators he had spoken with Del Mastro and that Del Mastro would "handle the matter with Elections Canada." Del Mastro has suggested he wasn't aware of the probe and said the first he heard of it was when a reporter called to interview him for a story. CBC News prepared a timeline of events surrounding Del Mastro's 2008 campaign, which is now the subject of an investigation into his spending in his Peterborough, Ont., riding. An investigator for the agency says in court documents that he believes Del Mastro knew he'd spent too much and tried to cover it up. The documents show Del Mastro paid Holinshed $21,000 from his personal chequing account. He hasn't explained what that payment was for. The agency is also investigating Richard McCarthy, Del Mastro's official agent, who handles money on his behalf during campaigns and files records with Elections Canada. The investigator says he believes McCarthy knew Del Mastro spent too much but submitted an erroneous election claim anyway. Del Mastro says he was reimbursed for any election expenses and that he didn't exceed his limit. None of the allegations have been tested in court, and no charges have been filed. The sworn affidavits were filed to obtain production orders as part of the investigation. The investigation comes out of a complaint made by Frank Hall, president of Holinshed, which did work for Del Mastro during that campaign. Hall later took Del Mastro to small claims court over a second contract over which they couldn't agree on payment or the scope of work. That claim was dismissed as abandoned. This timeline has been gathered after viewing a number of files, including Del Mastro's 2008 election invoices, receipts and banking statements, Hall's small claims suit and two production orders filed in court by Elections Canada. August 18, 2008 — The date of cheque 254 from Dean and Kelly Del Mastro to Holinshed Research Group for $21,000, signed by Dean Del Mastro. Frank Hall told Elections Canada that he received and deposited the cheque on Oct. 10, 2008. Thomas Ritchie, the Elections Canada investigator, arranged for production orders for Del Mastro's bank records to check whether the cheque was cashed out of sequence, which could be evidence it was backdated "to show a payment date outside the election period and the date of the contract." Sept. 7, 2008 — Prime Minister Stephen Harper asks Governor General Michaëlle Jean to dissolve Parliament and sets an election for Oct. 14, 2008. Sept. 14, 2008 — The date of a quote from Holinshed to Del Mastro's campaign for $21,000 to provide voter identification lists and 630 hours of get-out-the-vote (GOTV) calling on election day and at advance polls. It's also the date of an invoice from Holinshed to Del Mastro's campaign for $1,575 — $1,500 plus GST. The invoice lists "GOTV effort (live calls) on e-day" and has a note on it that appears to match Del Mastro's handwriting, saying he paid it. Another note in different handwriting that appears to match McCarthy's says, "Reimbursed Dec. 12." Del Mastro says his campaign turned down the $21,000 quote and received the lower-priced one. Ritchie says in the court documents that Del Mastro's personal banking records show he deposited the cheque on Dec. 17. Sept. 15, 2008 — The date next to the signature of Del Mastro's campaign manager John McNutt, who signs the $21,000 quote under "permission to proceed." Another note, which appears to have been added by McCarthy, notes the cheque numbers, dates and amounts paid. A cover letter attached to the quote includes a note signed by McNutt that reads, "Frank, I can send 50% right away and the balance next week. Please start on polls I have included." Del Mastro suggested to CBC News that the cheques were made out in error. "The campaign never incurred a $21,000 expenditure from Holinshed research. Did not," he said. "As I've indicated, the campaign did hire Mr. [Frank] Hall and his company and was invoiced $1,500 for a limited amount of work they did during the campaign. That is reflected in our campaign [records] and I was refunded for that." Sept. 18, 2008 — The date of the first cheque from the Conservative Party of Canada Peterborough's campaign account to Holinshed Research Group. The cheque, signed by McCarthy, is for $10,000. A note on the cheque says "1st instalment of 2." Sept. 20, 2008 — The date of a phone call or email by McCarthy to Elections Canada, according to the documents filed in court by Ritchie. Ritchie says in his affidavit that the agency's contact log shows McCarthy inquired about the election spending limit for Peterborough and was informed it was $92,566.79. Sept. 24, 2008 — A copy of the bank's stop payment request shows McCarthy cancelled a cheque to Holinshed for $11,000, post-dated to Sept. 25. A note on the cheque says "2nd and final instalment." Oct. 10, 2008 — The date Hall says he received and deposited the $21,000 personal cheque from Del Mastro. Oct. 14, 2008 — Election Day — Del Mastro wins his seat with 27,630 votes (47.40 per cent of the vote). Oct. 31, 2008 — The date of the $10,000 cheque issued by Holinshed to refund the campaign for the overpayment. The cheque was made out to McCarthy as the campaign's official agent. A deposit slip shows it was put in the bank Nov. 3. Also the date on a handwritten, unsigned memo on Holinshed letterhead. The memo says "Return of deposit in amount of $10,000 sent in error from Dean Del Mastro's campaign account. Invoice to be sent to EDA [electoral district association] detailing portion relating to campaign." Ritchie says in the court documents that he believes the memo, provided to Elections Canada by McCarthy, is a "false document." The writing on the memo bears a striking resemblance to writing on a memo about campaign finances with McCarthy's name at the top. November, 2008 to September, 2009 — There are a number of emails back and forth, increasingly contentious, between Hall and Del Mastro regarding a new project. Del Mastro ends the business relationship on Sept. 2, 2009. Dec. 12, 2008 — Del Mastro signs off on two quotes from Holinshed: one, dated June 20, 2008, for a $14,175 project using a custom database and the in-house GeoVote tool; and one dated Nov. 24, 2008, for $7,434 for a case management system. Dec. 17, 2008 — Del Mastro deposits a refund from the campaign to his personal bank account for the $1,575 invoice issued by Holinshed. Sept. 2, 2009 — Del Mastro ends the business relationship. Hall later files a suit in small claims court. Oct. 14, 2009 — Hall writes a letter to McCarthy about the campaign's 2008 election return, pointing out the work McCarthy listed for Holinshed isn't accurate. McCarthy responds by saying most of the $21,000 was for a contract with the riding association (minus the $1,575 paid for the election campaign). The riding association lists research expenses of $9,548.32, leaving $9,876.68 unaccounted for. June 8, 2011 — Hall's small claim suit over the post-election project is dismissed as abandoned. April 23, 2011 — Ritchie starts the investigation as a result of Hall's complaint. 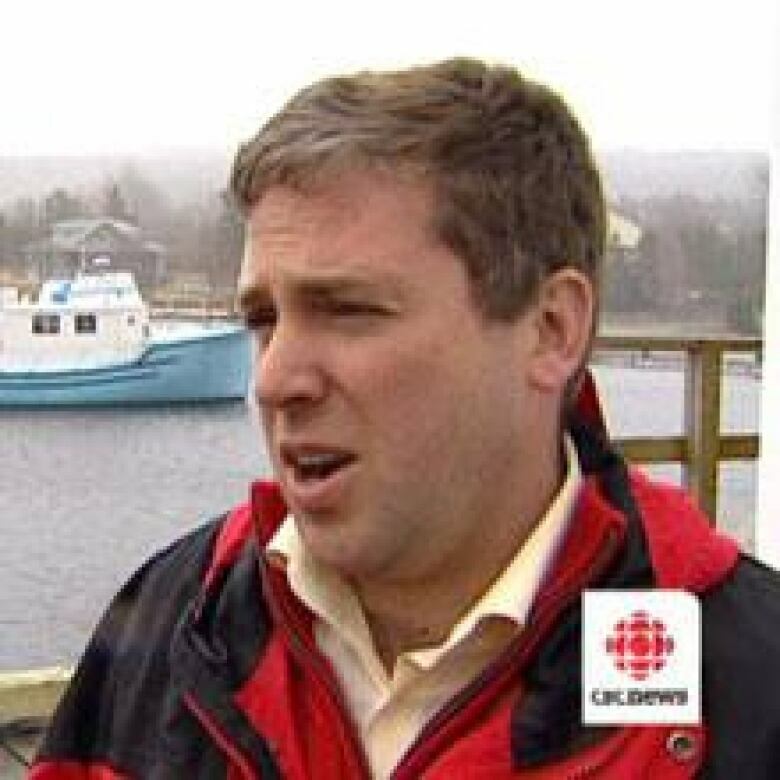 Dec. 15, 2011 — Ritchie and another Elections Canada investigator, Al Mathews, arrive at a pre-arranged interview with Daniel Rosborough, the financial agent for the Peterborough EDA. Rosborough said he had contacted Del Mastro and that Del Mastro said he would "handle the matter with Elections Canada." Rosborough told the investigators he wouldn't do an interview without Del Mastro's authorization. June 6, 2012 — The first media report surfaces of the Elections Canada investigation into Del Mastro. June 7, 2012 — Del Mastro responds in the House to a question by Liberal MP Scott Andrews. "I think the member has served on committee long enough with me to know a couple of things about me. One is that I serve with integrity and conviction. While the member and I have not always agreed, he does know those qualities about me," Del Mastro said. "My [election spending] statements that were provided in 2008, some four years ago, accurately reflect all expenditures incurred by both my campaign and my association. Anything that I paid on their behalf was refunded to me. I stand by those. I have never been contacted by Elections Canada on this matter." 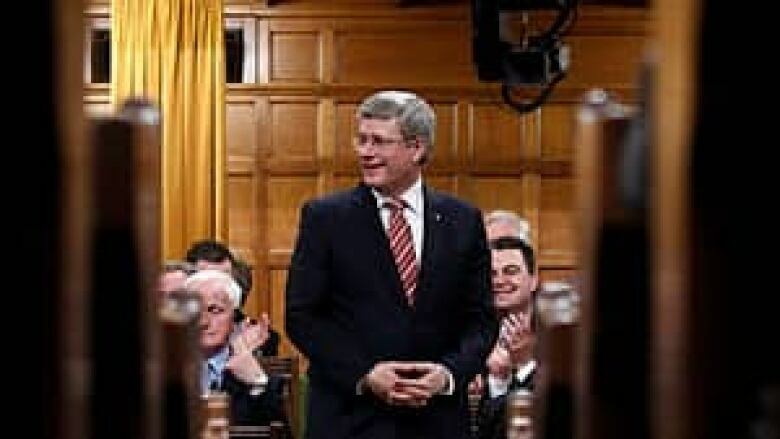 June 13, 2012 — Prime Minister Stephen Harper defends Del Mastro in the House of Commons. "Mr. Speaker, as we all know, the hon. member for Peterborough has submitted all of his information to Elections Canada," Harper said in response to a question from interim Liberal Leader Bob Rae. "In fact, that report was certified several years ago. The member of Parliament not only won that election but has since won a subsequent election. He serves his constituents and this House honourably, and I think we all should treat each other with a little more consideration than that."